Epidemic is a series of weavings thematically connected by the struggles, the despair, and the stories of hope surrounding addiction. 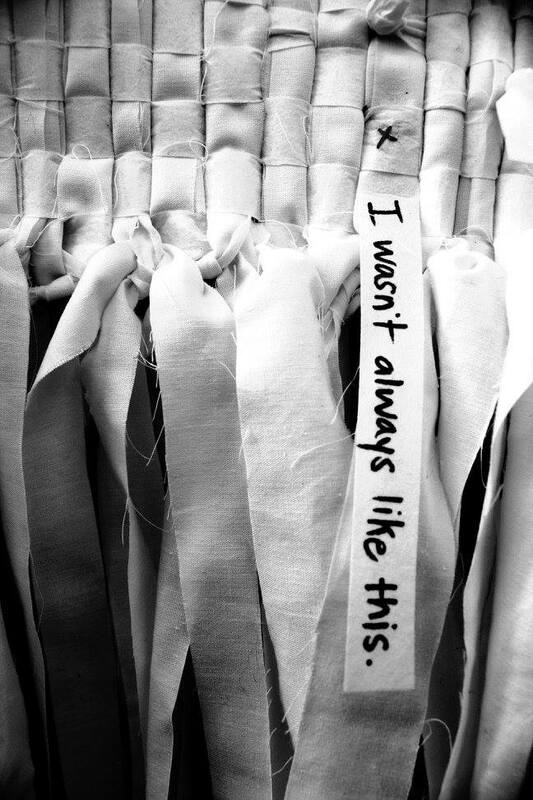 Each weaving is created with strips of fabric on which people affected by addiction write a wish, a prayer, a dream, a memory. The messages of love and loss are knotted and woven together, then threaded onto and suspended from sticks found in parks in Kensington, the neighborhood where I was born and raised. I currently teach art at two locations in Kensington: the Kensington Storefront (a sanctuary studio for those affected by homelessness, addiction and trauma situated by the Somerset el stop) and Prevention Point (a private nonprofit organization providing harm reduction services to Philadelphia and the surrounding area). The stories featured on this website are my experiences working with people in active addiction, people experiencing homelessness and people working on their recovery.